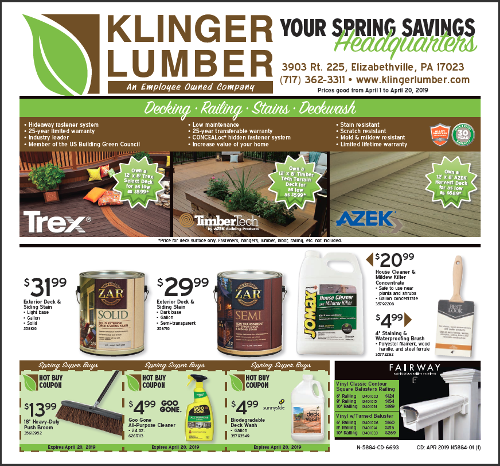 Klinger Lumber is your Home Improvement Headquarters! Take advantage of our current sales flyer to get your deck, door, bathroom or other project complete! The right products at the right prices! Click the image below to view our full flyer!